Dr Charles H. Brown Jr., is Consultant Orthopaedic Surgeon and Director of the International Knee and Joint Centre, Abu Dhabi, United Arab Emirates. Dr Brown received his Bachelor’s degree of Science from the Massachusetts Institute of Technology and his MD degree from Stanford Medical School. He completed his orthopaedic training at the Harvard Combined Orthopaedic Program in Boston, Massachusetts. After his orthopaedic residency, he spent time in Bruderholz and Berne, Switzerland with Dr Werner Muller and Roli Jakob and Linkӧping, Sweden with Dr Jan Gillquist as a traveling knee fellow. Dr Brown was the Chief of Sports Medicine at the Brigham and Women’s Hospital, a teaching hospital of Harvard Medical School in Boston, Massachusetts. Dr Brown has a long history of teaching and training surgeons internationally. He organized the first knee cadaveric training courses in Qatar, Kuwait and Saudi Arabia He has hosted surgeons in Abu Dhabi from Iceland, Norway, Sweden, Ireland, UK, Netherlands, Belgium, Jordan, Kuwait, Bahrain, Saudi Arabia, Oman, Libya, Tunisia, Egypt, South Africa, India, Pakistan, China, Australia, Thailand, Malaysia and Brazil. In 2006, he left Boston to establish and become the Medical Director of the Abu Dhabi Knee and Sports Medicine Centre in Abu Dhabi, United Arab Emirates. In order to better serve the needs of the growing population of the United Arab Emirates in 2014 he established his own center, the International Knee and Joint Centre in Abu Dhabi. Dr Brown is a member of the American Academy of Orthopaedic Surgeons, American Orthopaedic Society for Sports Medicine, the European Society of Sports Traumatology Knee Surgery and Arthroscopy, the International Society of Arthroscopy, Knee Surgery & Orthopaedic Sports Medicine. He is the only surgeon in the UAE who is a member of the ACL Study Group. 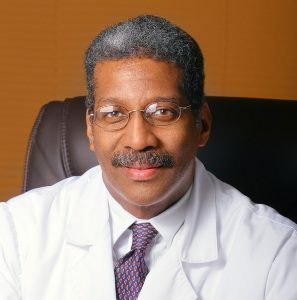 Dr Brown is a pioneer in the development of arthroscopically-assisted ACL reconstruction techniques and instrumentation, suture based all-inside meniscal repair surgical techniques and instrumentation, and the use of hamstring tendon grafts for ACL reconstruction. He performed the first arthroscopically-assisted ACL reconstruction in the Middle East, established the first tissue bank in the Middle East, and was the first surgeon in the region to use allograft tissue to perform complex knee ligament reconstructions. His work on the ACL has been awarded the Herodicus Award and the Aircast Award by the American Orthopaedic Society for Sports Medicine.